Calling all cocktail lovers. It will come as no surprise that I am partial to an after work cocktail or two or three. My favourite place is the colourful and diverse area of Soho. 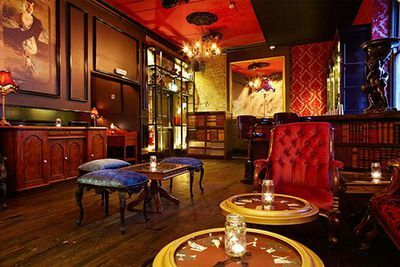 It epitomises everything about London that I love and once you sort the wheat from the chaff there is an abundance of great places to explore, whether you are looking for a quiet night drink or a lively party venue. 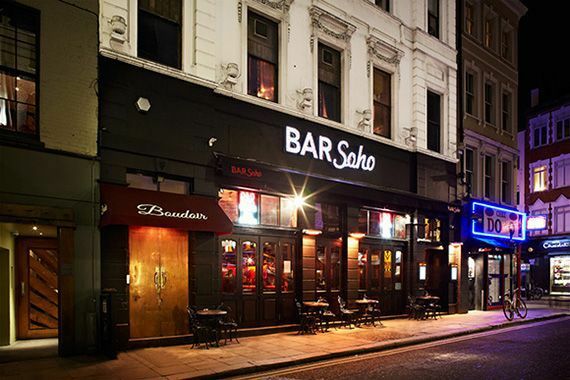 Bar Soho has a buzzing carnival-esque atmosphere and the cocktails and menus to match. Located on Old Compton Street in central Soho and three tube stations nearby, there is no excuse not to check it out. I would recommend checking online for special events including themed nights before you go to make the most of it. One carnival themed Olympic Opening Ceremony event was one in particular I will never forget. With a newly launched menu ranging from rustic platters, burger and chips to proper English pub grub, there is plenty of choice. Although more of a drinking venue than an appropriate place to take the whole family. Drinks and Cocktails are priced from £5, or if you are feeling a little more adventurous you can try the wild supercharged shooters or the shots to share including Skittle infused vodka, Glitter Bombs and the One Inch Punch. Safe to say try at your own peril. Also, if you are looking for a venue for private hire you can be expected to be treated like royalty here with dedicated event management for any type of occasion. That includes complimentary nibbles and party favours.